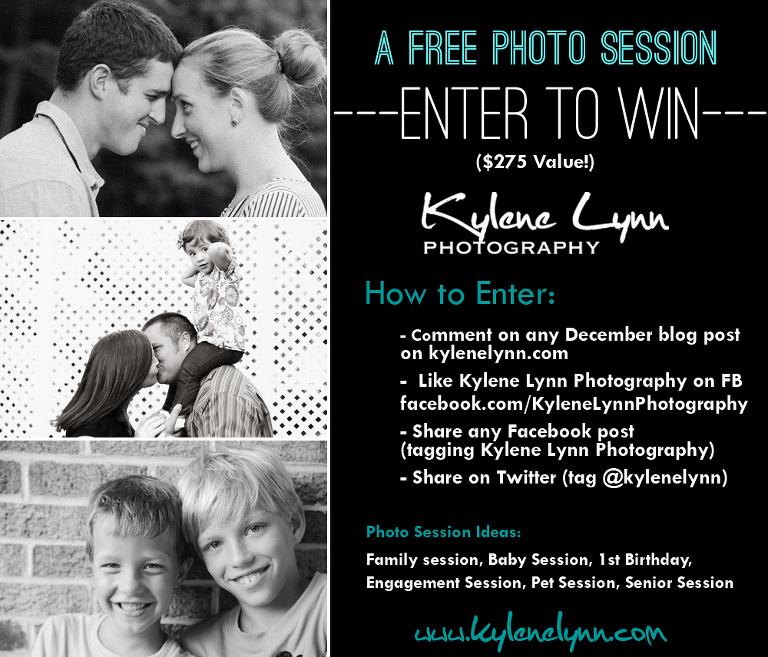 Winning 1-2 hour session includes 25 digital negatives! Winner will be selected January 2nd. Session must be held 40 miles from Lancaster, PA or Syracuse NY! You can enter multiple times for a better chance to win! Comment below to enter today! Share it and you’re entered again! Thanks for your support!! « Baby Faces – The High Chair Edition!